solrico is an agency for solar market research and international communication – founded at the beginning of 2009 by Bärbel Epp, a recognized renewable energy journalist. Solar thermal technology is her life. 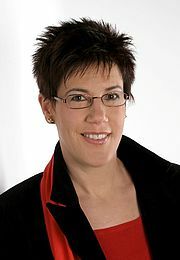 The physicist Bärbel Epp has almost 20 years of experience in researching, analysing and writing in this sector. solrico has teamed up with independent solar thermal experts in major international markets. The growing global network has currently correspondents in Germany, Portugal, Bulgaria, Canada, China, India, Italy, Poland, Brazil, Spain and Great Britain. New solar thermal experts are very welcome to participate - see section: Become a network partner!